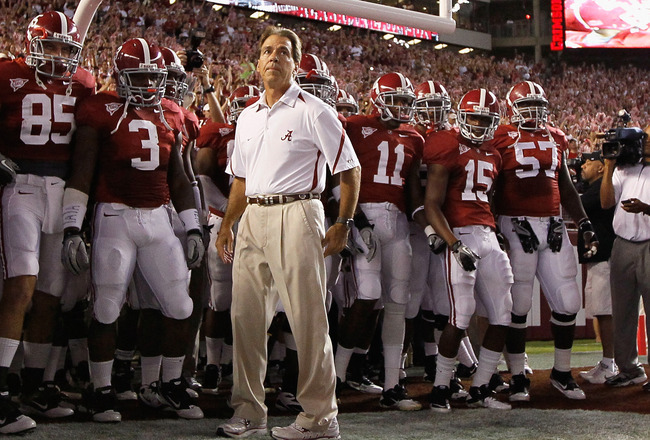 The NCAA has another scandal on its hands. Following in the footsteps of Penn State and Johnny Manziel, Oklahoma State Football could find itself under investigation for numerous infractions under two different coaches, according to a report for Sports Illustrated. Yesterday Sports Illustrated reported Oklahoma State players received cash payments from people associated with the program while Les Miles (now at LSU) was coach. Today Sports Illustrated has released a story claiming that academic fraud also occurred not only under Miles but also under current coach Mike Gundy. The story also states that thirteen former players have admitted to committing some form of academic misconduct from 2000-2011. Sixteen additional players were named by former players as having received inappropriate assistance. Several key players have told Sports Illustrated that they either had work done for them or received some other form of academic assistance. Current Cowboys superstar WR Dez Bryant was also brought up in the story which claims he wouldn’t go to class and had work completed for him. Bryant has denied receiving any illegal assistance. Some former players such as Cleveland Browns QB Brandon Weedon have come forward to deny the claims of impropriety. 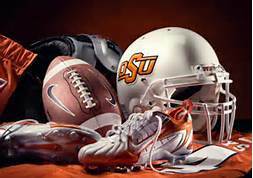 He feels that no wrong doing was done and the Oklahoma State football program is clean. If the NCAA decides to launch an official investigation into the claims, Oklahoma State could face significant sanctions if any of the alleged violations are proven true. A move that should surprise very few occurred today. 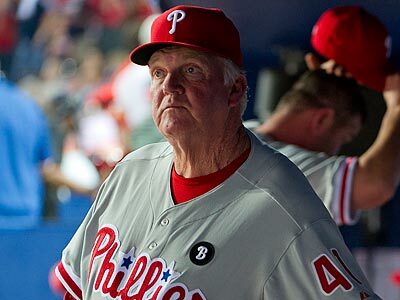 The Philadelphia Phillies nearing the end of their first losing season since 2002 decided to fire manager Charlie Manuel and replace him on an interim basis with MLB Hall of Famer Ryne Sanberg. Manuel leaves the Phillies as the winingest manager in franchise history and is one of only two men to deliver a World Series title to Philadelphia. His termination could be the first of many big moves for a team that is clearly in rebuild mode. Although the Phillies were not expected to be title contenders this season, many experts didn’t see this level of futility coming. After entering this years all-star on a hot streak, the team has imploded since then winning only one series since the break. The team now sits 20.5 games out behind division leader Atlanta in the NL East. Ryne Sandberg will now have the last few weeks of 2013 season to prove he is ready to manage long term. The first of what will probably be a long list of suspensions has been announced by Major League Baseball. 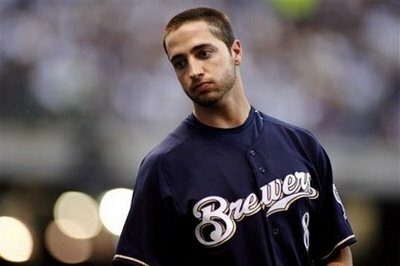 Milwaukee Brewers slugger Ryan Braun has been suspended for the remainder of the 2013 season and postseason for violating the leagues drug policy. Braun will not appeal the suspension. Braun’s suspension is the result of MLB’s probe into the now defunct Biognesis clinic which apparently supplied as many as 20 players with performance enhancing drugs. Further disciplinary action is expected to be taken over the next few weeks against others players who were linked to Biogenesis. In 2011 Braun was very nearly suspended after testing positive for performance enhancing drugs but he suspension was later overturned on appeal. Here’s some news to keep you cool, the NHL has finally revealed the division names for the realigned league. Next season each conference will have two divisions, two eight team divisions in the Eastern Conference and two seven team divisions in the Western Conference. The biggest change for the league is the Detroit Red Wings shifting for the Western conference to the Eastern Conference. Also shifting from the West to the East are the Columbus Blue Jackets. 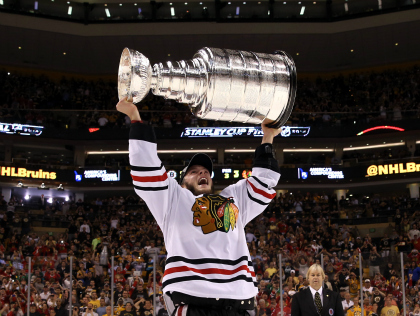 The 2013 NHL season starts October 1 with three games including the Stanley Cup champion Chicago Blackhawks beginning their title defense against the Washington Capitals. 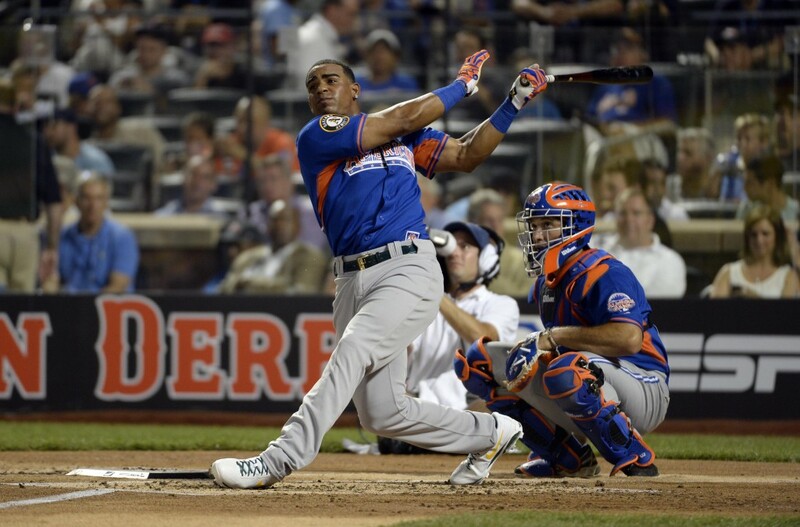 In what most would consider a surprising result Oakland Athletics outfielder Yoenis Cespedes defeated Washington Nationals slugger Bryce Harper 9-8 in the final round to win the 2013 MLB Home Run Derby. With the victory Cespedes became the first player not selected to the All-Star team to win the Derby, he was also the last addition to the field after Detroit Tigers MVP Miguel Carbera turned down a spot due to a sore back. The competition this year was fierce, but Cespedes set the pace for the night early when he bashed 17 home runs in Round 1, and eventually hit 32 home runs overall tied for third most all-time during a single derby. Cespedes was so dominant that he won the competition over Harper with five swings to go. Last years champion Prince Fielder and NL team captain David Wright were non-factors. As was AL team captain Robinson Cano and overall home run leader Chris Davis. Wright received a strong ovation in his home town park Citi Field. Thanks to the efforts of Cespedes the AL out homered the NL 53-50 and the 103 home runs hit raised $529,000 for charity. 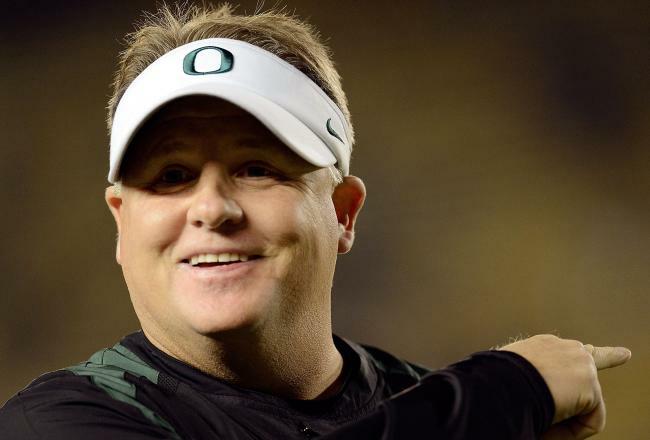 Chip Kelly has apparently left Oregon just in time. The NCAA this morning placed Oregon’s football program on 3 years probation and took away one scholarship for the next three seasons for recruiting violations which occurred while Kelly was in charge. Kelly left Oregon after this past season to become the head coach of the Philadelphia Eagles who fired Andy Reid.